Last week, I read a news coverage about a famous woman in the journalist arena of Afghanistan, named Lina Rozbeh. She is credited with having recently achieved an award from UP 4 SUCCESS “THE SCENE FOR EXCEPTIONAL WOMEN”. The organization works for authority and capacity exchange among women. The Trustees Board of this organization consists of an Iranian citizen and some American women who annually conduct a program to appreciate accomplished women. “Someone had sent them the (Paradise Promise) book and they also received two poems from Marefat High School; they had also watched some of my live videos, so they called to tell me that they had seen my writings and inquired if I could tell them more about myself. After reviewing my autobiography, they called me to announce that I was among some powerful women who were set to achieve the award. 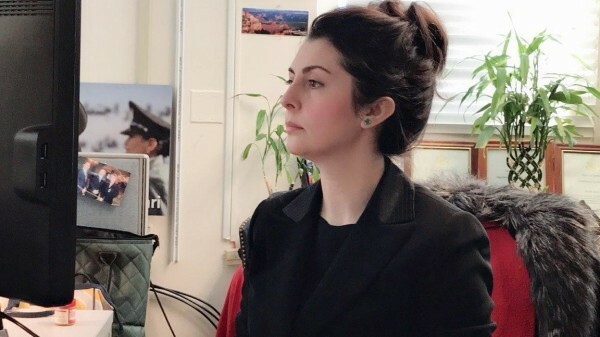 There were eight women who won this award; another Afghan woman – Fahima Gahiz – who worked in education area, two American woman, four Iranians and myself” Ms. Rozbeh told Reporterly. Lina Rozbeh is a poet, writer and journalist. Although now she has a luminous life and has reached a milestone in her professional sphere, she has continued to be inspired to strive more because she claims she hasn’t yet reached the place she wants to be at. She likes to work on human rights issues and writes on various political, analytical and research areas; something which makes Ms. Rozbeh to be different from other women. However, like many Afghans who were born and raised amidst four decades of war and bloodshed, she has an inspiring story. Two families in Herat province decided to marry off Ghulam Sarwar Rozbeh with Esmatullah Mohseni. The young couple may have never thought that they would become parents of four children who could change their lives. Herat is a province of rich traditions, culture and is embodied with different customs, and this very nature of the province brought a profound change and impact on the life of these educated couple. Unlike her sisters, Esmatullah went on to study at Teacher Training Level that helped her to lead a teaching profession to impart education to students and help them realize their dreams. Her husband was an engineer who graduated from Polytechnic University of Kabul. In 1970’s and 1980’s he was able to study in California of United States for one and half years and in another trip, he studied there for one year and then managed to study in Japan. He is still affected by traditional Afghan life. After starting out marriage life, this couple moved to Kabul, it was then that their first child “Lina” was born. Days rolled on one after the other and “Lina Rozbeh” turned 8. Year 1984 offered her a different yet difficult time in her life. She had no idea what life had in store for her; 1984 was the year that Lina and her parents emigrated from Afghanistan to Iran. Many a times, the life of an immigrant is much taxing than living in a country that has many problems; sometimes it changes everything-dreams and goals seem out of reach- and other times it gives birth to new dreams and from the same person a new individual comes into existence. As a small girl, Lina began her education whilst living amongst a family had a rich educational background, and yet conformed to certain traditional ways of life. Lina compares her life with her brother and finds out that there was a huge difference between the trajectories of the lives of both. Due to the nature of some old and rigid bonded family and social traditions of Afghan society and families, it is hard for girls to pursue their goals. Despite such chains of traditions, Lina happens to study till 3rd grade in Afghanistan. 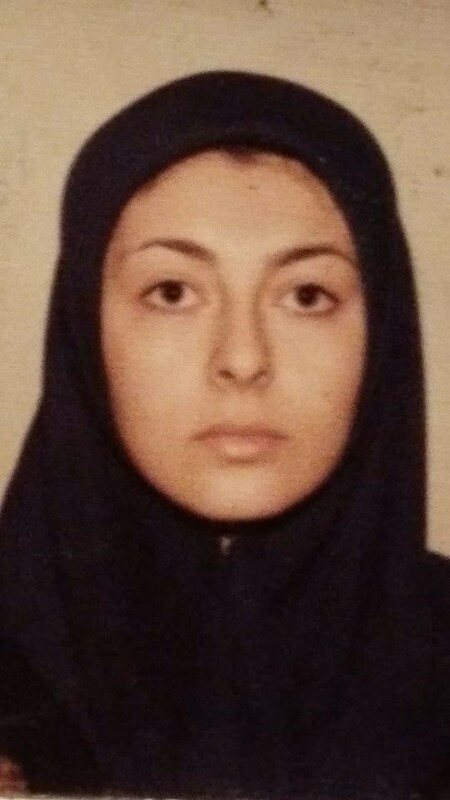 When her family immigrated to Iran, she managed to study there till 10th grade. Once her family shifted to Pakistan, she had to pass an exam in Peshawar that would earn her a school diploma. In her adolescence, Lina Rozbeh spent her life as an immigrant in neighboring countries, but after she earned her school diploma and Bachelor’s degree she and her family immigrated to Montreal, Canada. Lina’s parents, who had led a long road of immigration, finally reached the age of retirement at a time when they had a teenage girl who was in pursuit of her dreams. Although they had raised her with strict upbringing, in terms of receiving education, instead of limiting her they offered support and help her believe in a future that education could give her. In this Herati family everyone was inclined towards realizing their dreams. From the time when she was merely nine years old, Lina Rozbeh had a deep passion for writing; she was inspired to describe the behaviors she witnessed during immigration and she would pen down the hardships of life in different countries. Maybe that’s why in Canada she chose the closest field to writing which was public relations, cinema and press that encompasses a range of other fields such as graphic design, photography, writing and journalism. Lina chose this field to realize her dream. Ms Rozbeh’s mother spent her life in pursuit of educating her children through courses, school, and many other means that could help her children equip themselves with skills and knowledge to believe in a future that education could give them. Lina Rozbeh grew up with a passion in writing that she was always inspired with, and with the help of her mother she gave a practical application to her dream. During her academic journey she always wrote short essays which were published in several newspapers in Canada; two Iranian newspapers and the Montreal Gazette city newspaper. Even though this young woman cherished writing, during her academic period she didn’t have any official job in any print media. After marriage and graduation from university she signed a contract in 2004 with Voice of America Radio and Television, whose activities were limited to radio. 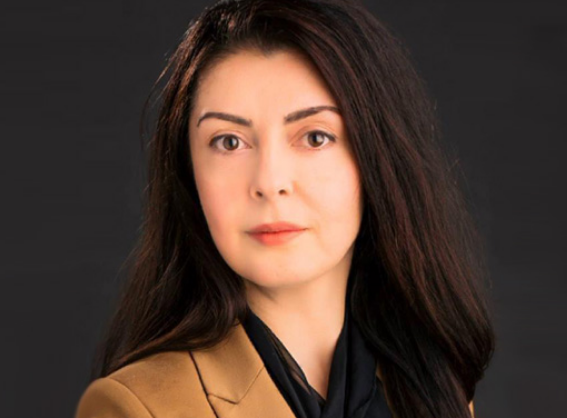 She had no interest in the media and did not even think that she would work as a presenter in television or radio, but this happened, and she not only spent two years on the Voice of America Radio, but in 2006, she decided to establish the Voice of America For Afghanistan. She was one of the employees of this TV who became a presenter. Perhaps you’ve read the “Promise of Paradise”; a collection of poems by Lina Rozbeh, a narrative of the Afghan woman who, after having experienced a lot of challenges, wrote about the difficulties of immigration and living in Afghanistan. Four years have passed since the publication of the book, and Lina, with every step that she took was able to bring herself closer to her dreams. She loved poems and poetry, and maybe that is why she could realize her dream. Now her second book, Apple and Eve, reached an American publisher last week and will be printed after a few months. She also has a pending novel to be written in English. For the writing and poetry that she has written, she has already received many certificates from various associations and institutions all of which indicate that she has been able to identify the path of her wishes and dreams. Lina’s life has taken a different track; She is no longer the young girl of her family who can act independently in seeking all her desires. She is mother to a 12-year-old boy by the name of Arman. 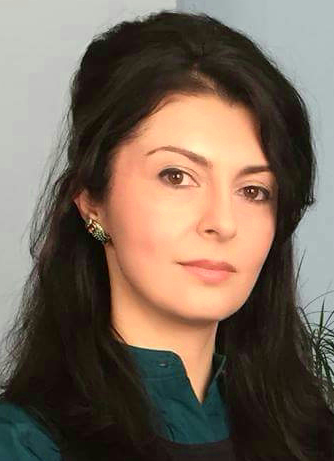 Her husband Ashraf Haidari is often on trip and is the Ambassador of Afghanistan to Sri Lanka. She strives to bring a balance between her work, home and family. Although she has several responsibilities and work, she likes to be a perfect woman like any other woman. Her son is in sixth grade, and she focuses more on her son and his family, and then on her job. Lina said: “what has benefited me is that I am an introvert. I have put much of my focus on work and family. From the beginning, my idea of greatest fun was reading books and relaxing at home; this also helped me bring a balance between my work and family”.